Lots of people are posting videos on Facebook these days. Videos tend to catch a little more attention than a static photo, and a LOT more attention than a simple text post. What if you want to download someone’s video from Facebook and save it to your computer? In the past it was not very easy to do that, but now there’s a really easy way. I’ve been downloading Facebook videos for a long time. In fact, that’s how I ended up with a video going viral a couple of years ago (seriously viral – way over 50 million views), which netted me over 14,000 followers on my Facebook profile page. That might be a good case study story for a future blog post (if it’s of interest, email me and let me know). But back then, downloading a video from Facebook to your computer was complicated. You had to get the actual URL for the video, then change the URL so that it displayed the “mobile” view, then save the video to your computer. Not very intuitive. Now you can get a video from Facebook much more easily, just by using a Chrome extension called “Facebook Video Downloader – Save FB Video”. At least that’s what I think it’s called (more on that in a minute). Then you’ll see a little pop-up window to confirm, and you’ll click on the “Add extension” button. What confuses me a little is that the creators of the extension seem like they couldn’t really decide what to call it. 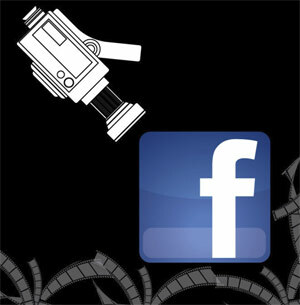 In the Chrome store, it’s called Facebook Video Downloader – Save FB Video. On the website, the title at the top of the page says Online Facebook Video Downloader. 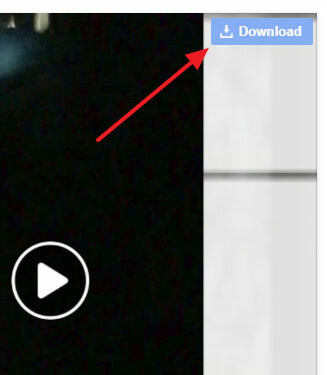 And if you just mouse-over that new icon on the Chrome toolbar, you’ll see Social Video Downloader. I guess they just don’t know about the concept of consistent branding. So you just click that to download the video to your computer. NOTE: if you’re not using an ad blocker (and why in the world wouldn’t you be using an ad blocker?? ), be very careful because there will be ads that have a big green “Download” button. These are designed to trick you into clicking on that ad, rather than the actual Download button for the video. As with all downloads in Chrome, it will show up in the bottom left corner of the browser window. You can open it there, or open the folder where it’s stored and move it to where you want it. This particular extension does not have a version for Firefox (at least not that I could see). I’m pretty sure there is a similar extension for Firefox that would download videos though. There are others that work in Chrome as well, but this one works fine and is pretty easy to use so this is the one I’m sticking with (until it stops working anyway). For one on one on this subject, you can call and either do it then (if available) or we can schedule a time to discuss it. This would be part of my Remote Support process. Or, I might do a full blog/podcast on this as a case study in which case the information would be free of course. Depends on the level of interest.